1. Why do I need boat transportation? However you need your boat transported, Shiply can help. Have you just bought a new boat and need it delivered? Or maybe you need to get your boat to a destination on land? Perhaps it’s too large for you to transport yourself? Whatever the reason, Shiply can help you find a reliable and professional company for shipping your boat at the right price. Choosing a specialist boat hauler will put you in safe hands; they will know the ins and outs of working with boats, marinas and ports and should help you with all the aspects of the transportation process. Listing your boat transportation on Shiply and our network of transport providers will quote you prices. You simply need to fill out a form with some basic information about your boat to be transported and you will receive free quotes in pounds sterling or euros, depending on where you are located. Once you’ve received several quotes you’ll be able to compare companies by their credentials, customer feedback and costs. To make a listing on Shiply you only need to fill in a short form with some details about your boat and of the pick-up and drop-off dates and locations. Once your listing is complete you will begin to receive free quotes from different transport providers - some of which may reach out to you in order to understand the required services more clearly so they can know how best to quote for the work. There are two major methods of boat transportation, and the method you choose will be dependent on where your boat needs to go. If your boat is required to be transported in a particular way, please specify on your Shiply listing. By road – If your vessel is needs to be hauled within the same country you’ll find that road transportation is likely to be the best option. If you’re moving parts of a boat only or a non-starting boat, transportation by road is your only option. 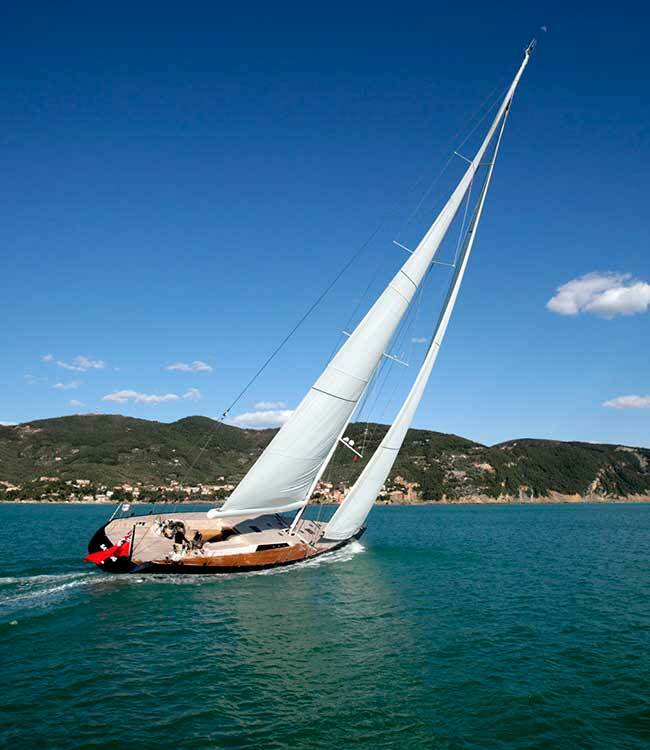 By sea or river – If your craft needs to be sailed port-to-port then you can hire a crew to do this. Crews should inspect your vessel, plot courses and check shipping forecasts for you. Once you have received some quotes, make sure you check the credentials and feedback of any skippers and crew hands which you can see by viewing the transport providers’ company profiles on Shiply. If you’re moving a sailboat then RYA or MCA accredited crews are the qualifications to look out for. With any type of transportation, it’s important to check the level of experience and professional insurance cover that they offer (do not accept personal insurance) so you can make the most informed decision for your individual situation. Do not hesitate to ask the companies any questions about the transportation process as they will often have a high level of experience. Finding the right boat transport service can be overwhelming if you intend to compare all the prices and credentials. Larger companies might charge less whereas smaller family run transporters could offer you a more personalised service. If your vessel is being transported by land there are a number of preparatory jobs to do to ensure that the transportation goes as smoothly as possible. You’ll want to plan as far ahead as possible to give yourself enough time to prepare for the transport and to enable you to find a suitable transport service. Boat deliveries can be carried out several different ways, but regardless, make sure your boat is prepared correctly to prevent any damage, leakage or dangerous loose ends occurring during the journey. Check the condition - Make sure you thoroughly check the interior and exterior of your vessel for any previous damage, this way you can see if it suffers any during transit. You may want to take photographs of the condition before its journey. Remove valuables - Make sure you take anything valuable off your boat before it’s transported as these will not be insured. Empty the bilge, water, refuse stores and the majority of fuel - Pump out wastewater and other liquids. Any freshwater tanks and rubbish should be emptied, fuel tanks disconnected and the majority of the gasoline emptied to make the boat lighter to deliver and prevent any potential leakages during transport. Make things secure - If they aren't travelling separately make sure all accessories and life jackets are stowed away in lockers. Secure all doors and compartments in the galley and washrooms. Also, make sure that the canopy is extra secure as it might not be built to travel at the same speeds of a trailer. For sailboats - Removing all winches and rigging etc. from the mast is important (also provide padding for points at which the mast will be tied down). Pulpits, stanchions and lifelines should only be taken off if they will make the boat too large to transport easily. You can also check with your boatyard for any other precautions that they might think important for safe transport. If your boat is going to be sailed to its destination make sure you arrange with the captain what preparations need to be made prior to the handover. If any changes occur that may differ from what your transport provider is expecting, make sure they are contacted and made aware so they can plan accordingly. When your vessel safely reaches its destination on the delivery date, your boat transporter should help you with the unloading or docking and may help you with other parts of maintenance and checks (depending on what you agreed). If there are any other services you need help with, these should be specified at the beginning of the process when listing your required service on Shiply. Either way, it’s important that you check your craft post-transit to ensure that it hasn’t been damaged and ask the transporter about any discrepancies so they can be sorted out quickly. Once your boat is safely docked or secured you can remove the tape and other securing materials, refill water tanks, reattach batteries and motors or re-rig your sailboat so it’s ready to be used again. When you’re happy that the transportation job has been a completed please leave a review for the service you used on Shiply on their company profile. Leaving feedback is extremely helpful to us as it helps other users when choosing a transport provider for their own job, and it also helps transporters continuously improve their service.